If you are on the hunt for a product that will leave your skin feeling hydrated, bouncy and gleaming with life, then you’re in the right place, my friend! I have the most complicated skin type – dry, dehydrated and acne-prone, so I’ve always struggled to find a moisturiser that works for my skin type and its concerns…often creams are too thick and break me out and other times gel moisturisers only give my skin hydration for a couple of hours and then my skin starts to feel tight and dry again. As the name would suggest, a sleeping mask is a face pack that packs tons of hydration and moisture into your skin while you sleep 🙂 These types of masks are ideally used at night as the last step in your skincare routine and they seal all the moisture in your skin and therefore help to alleviate dullness and unevenness from your skin. When you wake up the next morning, you will notice that your skin feels hydrated, moist, plump and super bouncy … aka ‘chok chok’ in Korean terminology! 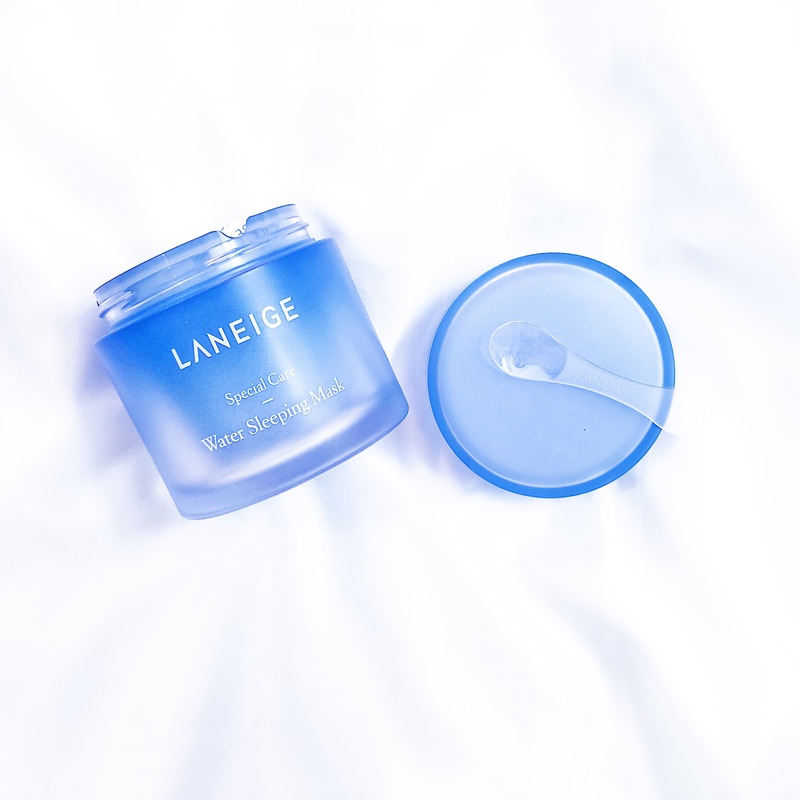 The Laneige Water Sleeping Mask is a gel-type overnight mask that moisture recharges and deeply hydrates your skin as you sleep. It absorbs quickly into the skin and you wake up looking like you had the best sleep, even on days when you snoozed for only a couple of hours. A purification technology to help calm skin from damage and external stressors that skin suffers during the day. Antioxidant-rich Hunza Apricot and Evening Primrose work throughout the night to purify fatigued skin. Formulated with 6 moisture-maximizing minerals—zinc, manganese, magnesium, sodium, calcium and potassium—that are ionized and stabilized in water to penetrate quicker and deeper into skin. It provides Natural Moisturizing Factors (NMF), similar to skin’s own moisturizing agents, to circulate and retain long-lasting moisture. As you can see, the product is housed in a gradient blue jar with a twist lid. There is 70ml of product in the glass jar, so you get a lot for your money’s worth here. The jar feels heavy and sturdy and even the cap (which is made from plastic) screws tight, so you don’t have to worry about product leakage if you’re travelling with it (though it’s not travel-friendly…too heavy in my opinion). 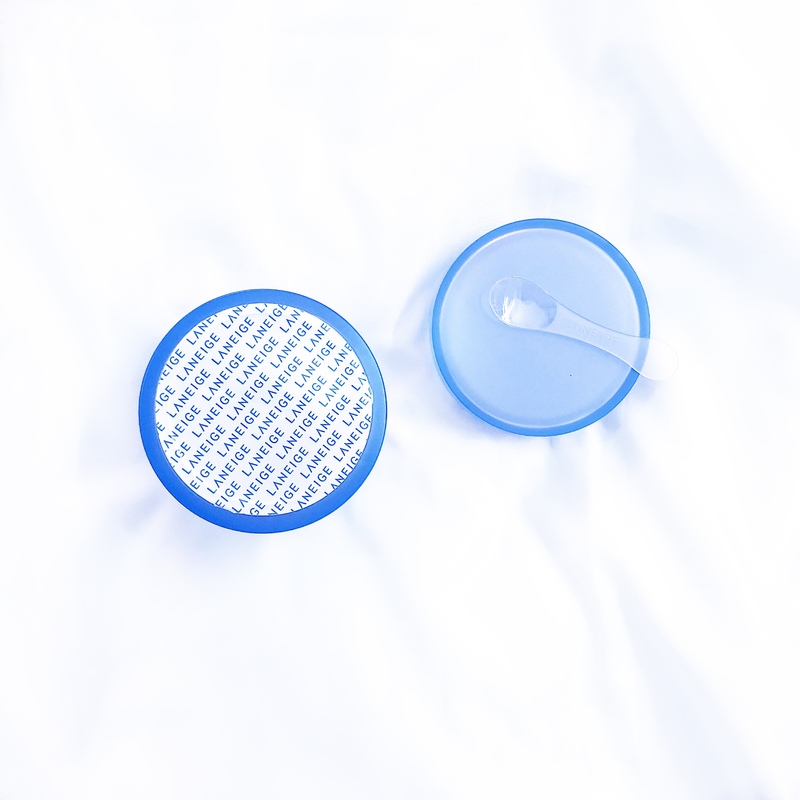 There’s a seal protecting the sleeping mask and once you open the lid and break the seal, you can see the product underneath. I love how there is a spatula (for scooping out product) provided separately in the packaging…so no need for dipping your fingers or nails directly into the jar. However, I wish they had given a separate lid to cover the product and keep it separated from the actual lid once you break the seal open…I hate it when things get into the lids and caps of skincare packaging! Although, to be honest, I really enjoy the light gel texture – it’s just the right consistency, not too thick, neither too light. In terms of scent, this sleeping mask has a very calming and mild scent – it almost smells like chamomile and I really enjoy that soothing scent because it just helps me sleep better too! I love this product and the way it makes my skin feel the following morning. I use it as the last step to my skincare routine and I adore how cooling this feels on the skin and how well it locks in all the moisture. 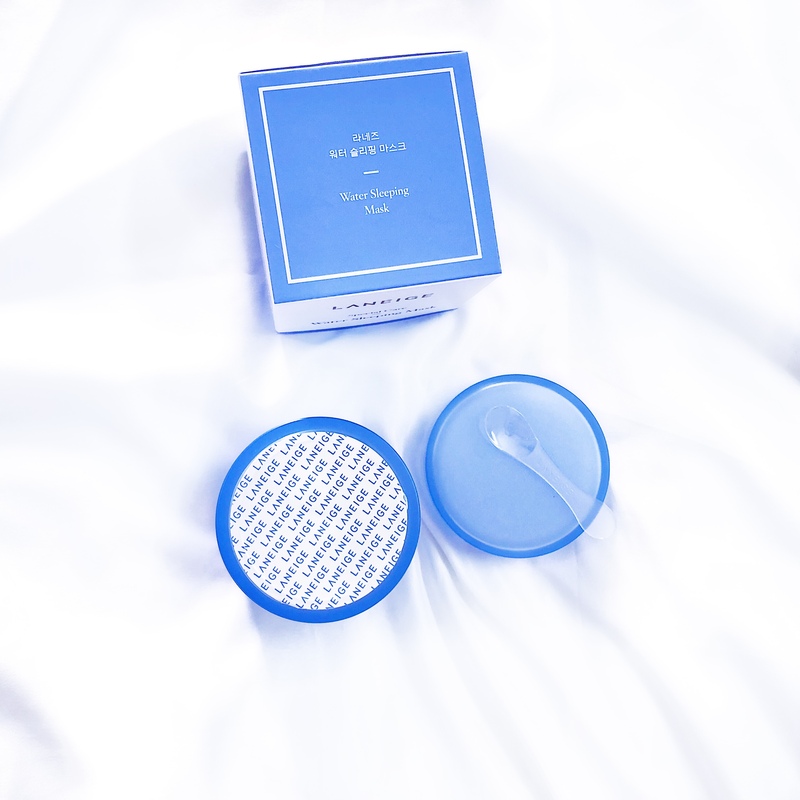 The sleeping mask is not tacky or sticky at all and I think it will be a great product for all skin types – even oily and acne-prone. 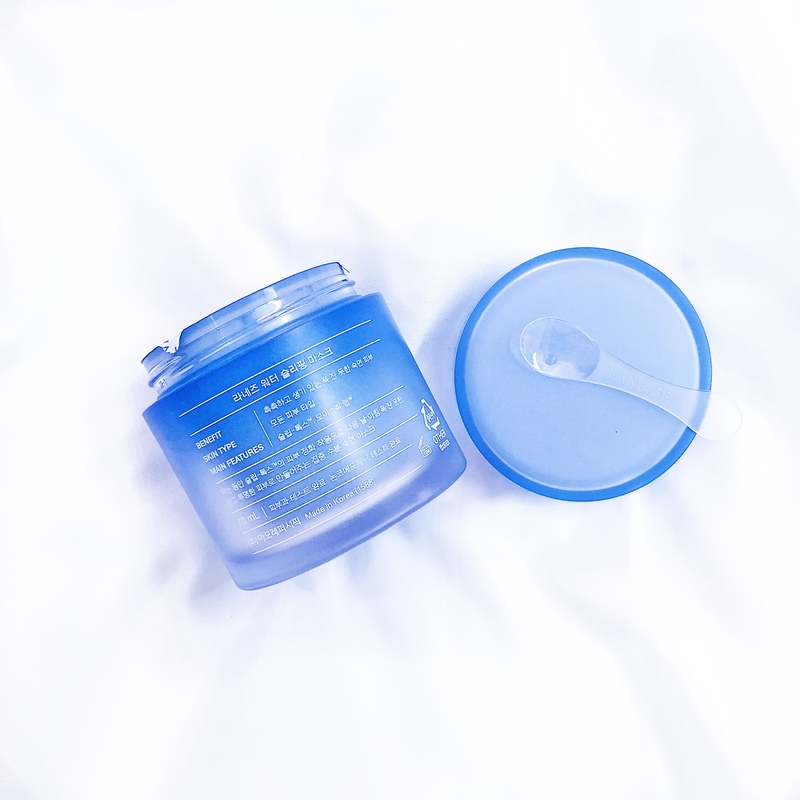 Laneige Water Sleeping Mask has been formulated with Hydro Ionized Mineral Water in a high concentration to deliver intense moisture to even the most parched and stressed skin. This will be a great product if you have a stressful schedule and the lack of sleep is starting to show on your skin! 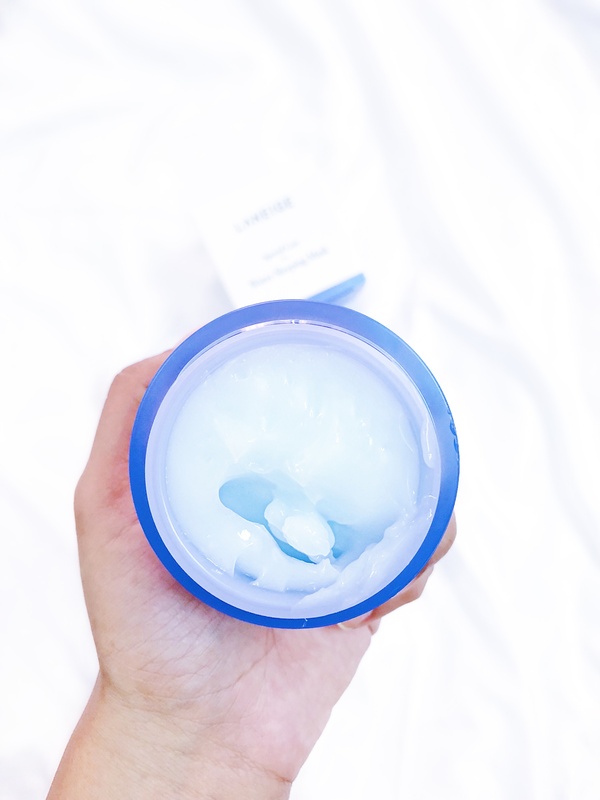 Do I Recommend Laneige Water Sleeping Mask and Will I Repurchase? This is a holy-grail status product for me by this point and I recommend it to everyone who asks me what to use for dull, dry, dehydrated skin. I would definitely repurchase this product- again and again! 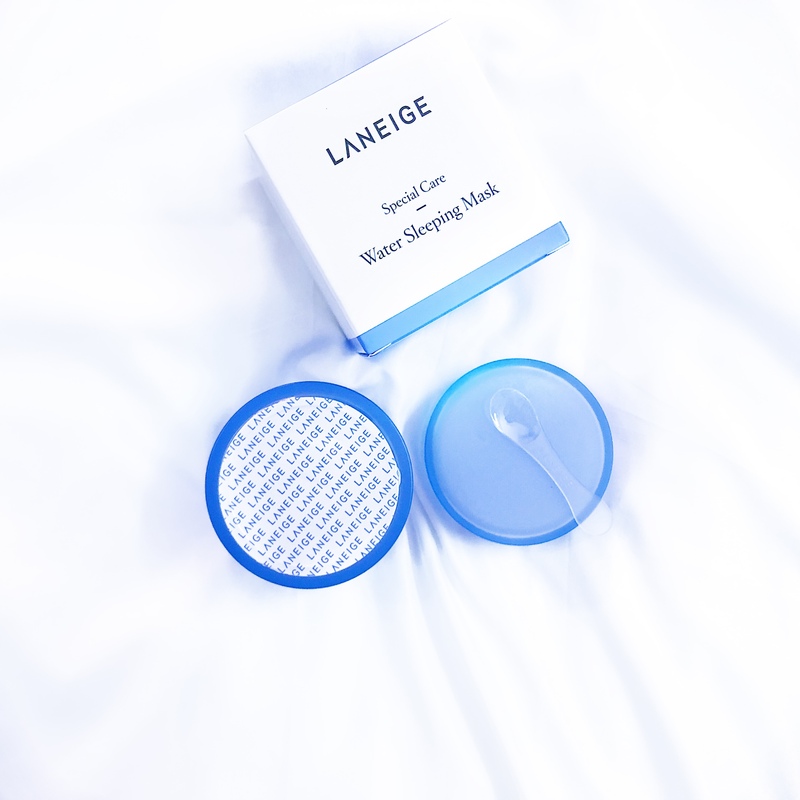 Have you guys tried the Laneige Water Sleeping Mask? What are your thoughts on it? Also, if you have any other favourite sleeping masks, leave me the names in the comments below! I totally relate to what you are saying. I quite dislike the sticky/tacky feeling of product sitting on my skin too, especially in Mumbai’s humid weather! 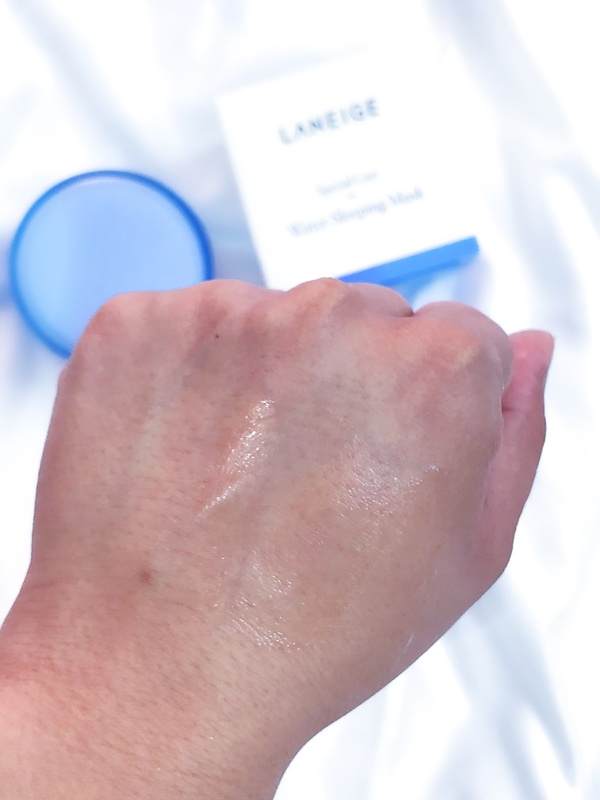 The Laneige mask has a gel texture and it’s really lovely and cooling…seeps right into the skin, so you’ll probably like it. Let me know if you try it 🙂 Maybe go for a sample size to begin with…that’ll save you money too and it’s a wonderful way to test out products.